Tax season is in full swing. July 31st is the last date for income tax return for salaried people and other individuals who earn from their proprietary firms. The government has extended the deadline of ITR filing from 31st July to 30th August 2018. With the technology, one can go online and easily submit ITR. There are many online portals which can help you in income tax efiling. Today we will discuss these online portal’s features, benefits, and fees they are charging for helping you filing income tax return. There are two ways you can file your ITR. Offline with the help of a chartered accountant, or online by yourself or with the help of an expert. If you google, you will get numbers of portals available who can help you in filing your income tax return. A layman can easily get confused about which portal to choose from the heap. Also, every individual is a unique case as his total income, a source of income, age differs from the other person. There are more than 80 income tax forms for different individuals and companies. Which one is for you is a big question. In such situation deciding which ITR form you should choose is a big question. For a company, the tax calculation and filing are mostly done by the company accountant or they outsourced it to a chartered accountant. But for an individual person whose main source of income is salary has no clue about how to calculate tax and file return. That’s why these online portals come into the picture to guide you. Also, the ITR filing process is cumbersome and chances of errors are high if you are not an expert. check this article for the mistakes you should avoid while filing ITR. 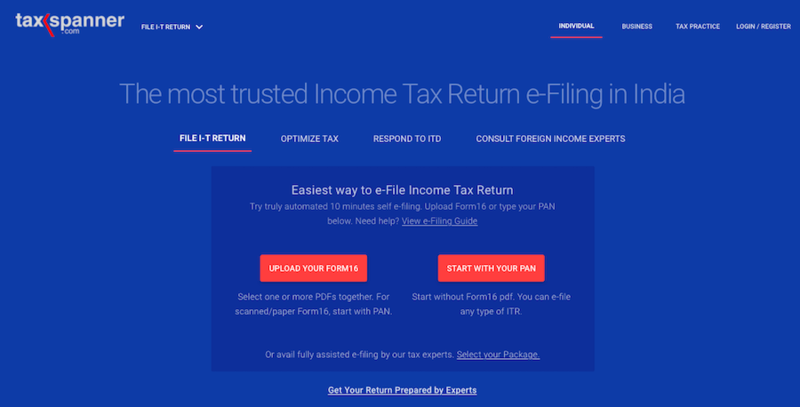 Before we go ahead, let’s decide which type of ITR form is for you? There are different forms for the different entity at different stages. Below is the list of income tax return form. Choose the appropriate form as per the details are given below. Now as you have selected the appropriate ITR form, the second step is to gather all the required details for filing the form. Below is the checklist of details you must have readily available with you before you start filing up the ITR. 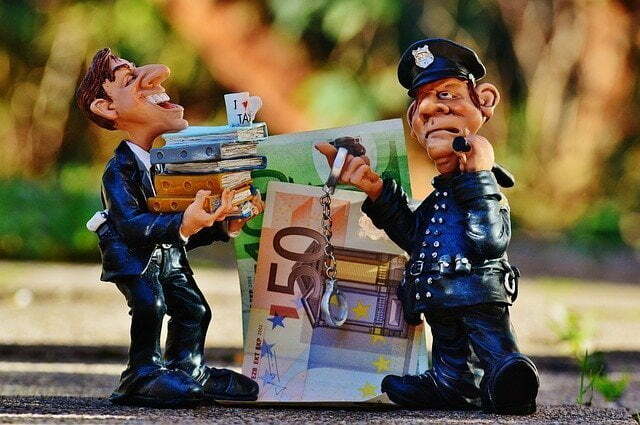 Documents of purchase and sale of investments I.e. stocks, mutual fund, bonds etc. Now as you have all the details ready, let’s go on to the portal one by one to conclude which one is best for filing income tax return. Incometaxindiaefiling.gov.in is the official website of the Income Tax Department to help taxpayers file their Income Tax returns online. The user has to sign up for one time and can use the website every year for filing their income tax return. If you are a first time user, you need to create your account just like you create one for your facebook or twitter account. Here is the step-by-step guide on how to create your account. First, you need to select your user type, i.e. Individual/HUF. Next, you have to enter your personal details like Name, Surname, Date of birth, PAN number and your resident status. (Your PAN number will be used as your user ID, so make sure you enter it correctly. On the next screen, you will be asked to set up your password and security questions. You also require to furnish your email ID and mobile number. These details will be used by the IT department for all future communications. On the submission of the details, the website will verify your PAN with their database and issue you a transaction ID and the contact details you have furnished. To verify your email, your account verification like will be sent to your given email address. You need to activate your income tax department account by clicking on the activation link sent to your email address. Your account is set up and is ready for you to view your tax credit statements (TDS) and income tax returns. The website is available in English and Hindi, select the language you are comfortable with. 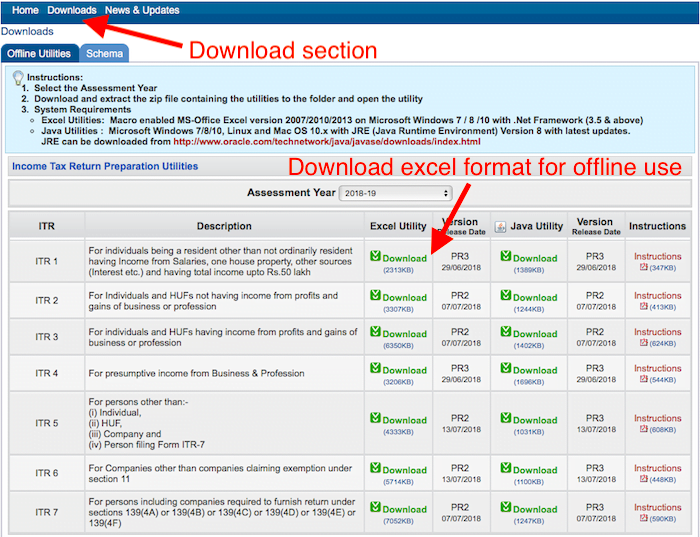 Once the details are filled up in excel format, you need to then upload the same into the portal. The form filling is an easy task. Entering all required details is not a much hard task as all details asked here are general and readily available with you. Still, you feel you need some help, there is a helpline available to assist you on income tax filing. Below is the contact details in case you need any help in filing income tax return. Filing income tax return through this site is easy if you have some basic knowledge about the type of form you need to use. Most of the people in India are using this portal for their tax purpose. All the details submitted here are fully secured with the website. Filing ITR is free of cost since it is the official website of the Indian income tax department. You can also get tax tools, calculators, tutorial, FAQ and tax calendar on this website. Cleartax.in is a well known online portal for all your taxation and financial solutions for individuals and businesses. It claims to serve more than 2.5 million happy customers, 20000+ chartered accountants and 10000+ businesses in India. It is a registered e-Return intermediary with the Income Tax Department of India. It is the best ITR, GST and TDS filing software in India. Filing your ITR with clear tax is easy with clear tax platform. You just have to upload your form 16, claim your deductions (if you miss in your form 16) and get your acknowledgment number online. Also, you can efile your income tax return for an individual whose source of income is salary, house property, capital gains, business, and profession. The user can even generate form 16, use tax calculators for deriving tax amount, claim HRA, check refund status. ClearTax offers a free and easy way of filing income tax return. It is one of the leading online portals for tax filing. Below are the key features and benefit of using Cleartax as your efiling partner. The user has to upload form 16, no need to enter data manually. Their software will read the data from the form 16(PDF file) and helps you in filing income tax return. Based on your form 16, the software will automatically select the appropriate ITR form as you fill in your details. With their paid service, you can schedule a call to get guidance on the tax filing. They also offer the investment option for tax benefits like ELSS mutual funds. There are various paid services, choose the one based on your requirement.  With their knowledge section (blog) you can get various tips on tax saving and investment. H&R Block is the US-based company with the world’s largest tax service provider with over 720 million IT returns filed annually. The company was established in India in the year 2012 to provide tax filing solutions to individuals and companies. An individual can file income tax return in three ways. These are Income tax e-filing by an expert (you hire an expert to do the job for you), In-person tax filing, in this you have to set up an appointment with the company. The company will call you and understand your tax needs. Then you have to visit their office along with all relevant documents. The company will then file the ITR on your behalf. They will charge based on your tax needs. The charges will be informed to you at the time of your first meeting with the company. They have their offices at Pune, Banguluru, Hyderabad, Gurugram & Mumbai. Third, Self e-filing process. In this process, you have to login into the portal, upload your form 16, claim any deduction, fill in any other details and that’s it, you are done. Easy online application and software for filing ITR. In-house team of an expert to understand your needs and provide customized solutions. Auto data inputs from form 16. One to one tax advice at their offices across India. Post-filing support is also provided. Online storage facility for storage of documents and other details. E-filing with myitreturn is safe, easy and fast. You have to upload your form 16 and the software will read the data from the form 16. It covers salary income, capital gain, bank and other interest income, house property income, business and other professional income. myITreturn is an authorized e-return intermediary of the income tax department of India. Their wizard will help you to select the appropriate ITR form. You just have to give answers to the simple question in the wizard and you are ready to file your income tax return. The company was started in the year 2006 and is a subsidiary of Skorydov System Pvt. 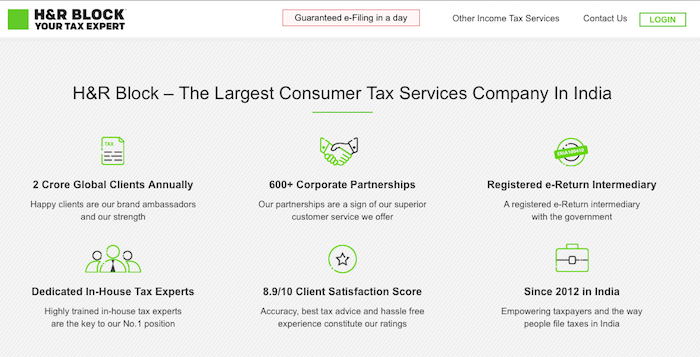 Limited – a leading tax-related software provider company in India. It is one of the reputed company as it has done many projects with the Income tax department of India. The company has developed the pilot return preparation utility (RPU) for GST pilot. myITreturn owns the Central Data Processing Centre (CDPC) of National Judicial Reference System. – A project under the Income-tax department and ministry of finance. They claim that the first income tax return in India was filed using their software. And they had developed the software for the IT department. They have over 2 million satisfied users who are using their online software to file income tax return. Android and iOS Mobile App. The company carries a vast industry experience of 20 years. 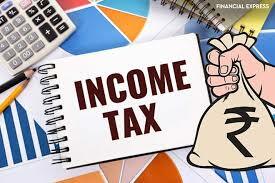 TaxSpanner is a Delhi based company helping over 1 million users to file income tax return. Like other online portals, this also uses the software for uploading your form 16. Its a complete online portal for all your tax needs from ITR data reconciliation, e-filing of ITR1, ITR2, ITR4 and GST compliance. They also offer tax planning, bookkeeping, and audit services to their client. Send your form 16 to [email protected] and the system will automatically prepare the income tax return. Automatically choose the appropriate ITR form. Tax forms are validated before the final submission, so there is zero chance of error. Auto upload of share/mutual funds/F&O transactions on the portal to save time. Online storage vault for keeping documents in the vault for future reference and use. Online support of 24X7X365, always reachable. Phone, email 7 chat based assistance. Under the premium service, your filed ITR will be review by a chartered accountant before final submission. Fast Processing: Through the online process, your income tax return will get submitted in minutes. After the submission of ITR, you can do e-verification instantly. This will eliminate the further process of sending ITR form to a central processing center at Banguluru. Convenience: Online portals gives ease of filing ITR from the home. It is a 24/7 facility so you can file your ITR online on weekends or during the late hours of the day at your convenience. Higher accuracy: E-filing software comes with in-built validations to help you in error-free submission. Unlike paper filing which is prone to errors, online portals have great accuracy built in as they know that the data inputs are being done by a layman. Confidentiality: Your data is safe with the portals as they don’t share it with anybody. The paper filing is usually done by the chartered accountant from your social circle. In that case, you have to share your personal financial data with that person. So that person will come to know about income and other important data which your spouse might also not know. The online portal is a completely independent person who doesn’t know you socially. Here the relation is completely professional. So sharing such financial data is ok with them. Accessibility of past data: Often you need to refer the past data while submitting ITR. In the online process, this data is readily available on the servers and easily accessible to you. Easy to use: Online portals are user-friendly, they give detailed instructions on how to go step-by-step. They also have on the phone and chat assistance in case you are stuck somewhere. It is recommended to use the online portal for filing income tax return in India as its easy, fast and secure. I personally use the official income tax website for filing my ITR. Which portal do you use? Please reply in the comment section. Share the post with your family and friends. Previous articleAre you prepared for Rs. 20 Lakhs for Cancer Trearment?